Change is hard. In his groundbreaking 1996 change study, “Leading Change,” John Kotter, concludes that only 30% of companies’ change transformation is successful. McKinsey studies in 2009 and 2013 also supports this conclusion. There are a number of changes during S&OP implementation, you and your company will go through a number of changes to make it happen: Change in processes, systems, and behavior of people. How can you determine in what change environment you’re operating? In his book Beyond the Wall of Resistance, Rick Maurer gives three levels at which people resist a change. This is a simple, yet very applicable way to understand a change environment. I’ve used it in practice and added a 4th one based on my experience. Level 3: I don’t like you. Maybe they like you, but they don’t have the trust and confidence in you or your managers to make it work. If in your change assessment you find S&OP leaders who show evidence of supporting the S&OP process as well as displaying the right behaviours, nurture them. Ask them to actively display their behaviours and influence other leaders to follow these behaviours. If you find resistance, map the type and make a plan to address it. If you lead S&OP across borders, keep in mind cultural preferences. Level 1 resistance is knowledge driven and can be overcome by good training and education. Level 3 is harder, it about establishing personal trust, but can be overcome by showing your knowledge and experience, building bridges and relationships between functions. Level 4 is seen in many large organizations that had change on change on change. It can be addressed by re-prioritizing workload or provide additional resources. Great change management as for example Kotter’s 8 steps will also very much help to overcome these types of resistance. No resistance is easy to overcome, but arguably the hardest is Level 2 resistance, especially at the senior leadership level. Level 2 resistance is emotional, has deeper underlying reasons and will be reflected in the behaviours these individuals display. This level of change resistance is where coaching to change will be required most. 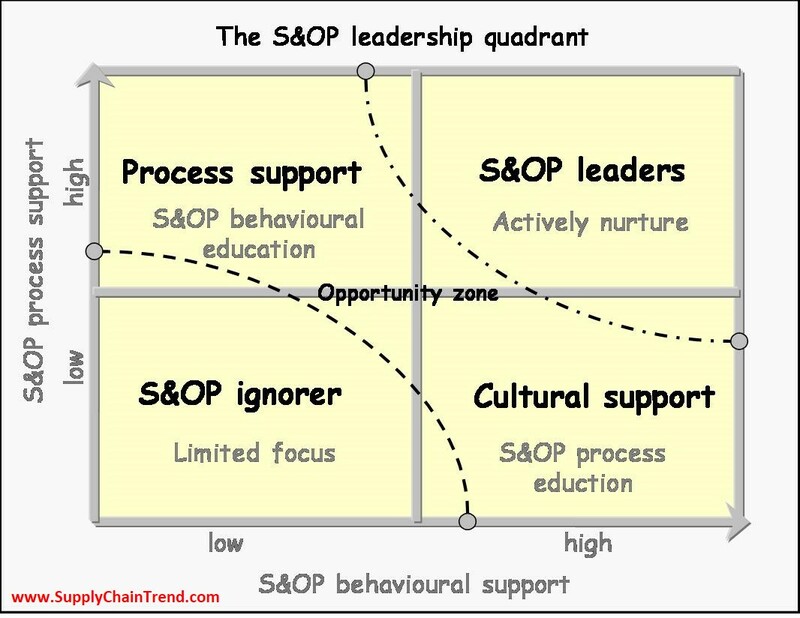 If there is a critical mass of senior leaders who do not support S&OP because of level 2 resistance, leading S&OP change will be nearly impossible. S&OP with level 2 resistance will most likely not mature beyond basic demand and supply balancing. To make S&OP change happen, you have to address the underlying fear and security needs. Individuals who show level 2 resistance often display fear of losing status or control due to an upcoming S&OP implementation. Their thinking and behaving will be influenced by security needs, the need to protect themselves against basic S&OP principles. Principles like open communications, transparent data usage, public information sharing make them nervous. They fear the cross functional visibility in their functional KPI’s, gaps versus budget, status of projects or alignment and progress versus strategy. These individuals might prefer a command and control leadership style or fear to lose control of their function in an S&OP environment. They might prefer not to share too much information to keep control. They might have a lack of self-worth or confidence and have a fear of failure in public meetings. They might have a fixed mindset, believing there is no opportunity to grow themselves anymore. They might prefer to maintain the status quo and feel anxiety when being challenged or when doing something new. Keep in mind that we all developed our preferences over our life journey and many of us will operate with a certain style without even being self- aware about it. The underlying beliefs, values and thoughts an individual has are all under the surface, what we see is only the top of the iceberg; their behaviours. Take for example a young supply chain professional I coached. The feedback from his peer and managers was that this person wasn’t up for the task and wasn’t really motivated enough. After some coaching conversations and with the help of a psychometric tool, we discovered some of the underlying reasons. One of those reasons was that a previous redundancy made this person very hesitant to step forward, be in the limelight and fail, as this might result in an other redundancy. The coaching intervention with this young professional then became about how to build confidence in the workplace to overcome this fear of failure. Security needs can result in oppositional behaviours like criticizing without the intention to improve, talking the need for the S&OP process down or blaming and emphasizing minor flaws in S&OP data, process or supporting people. Lack of confidence or growth mindset can result in showing avoidance by not joining conversations, provide the minimum amount of data or show a lack of commitment in general. It can of course get much worse when people start playing power games, purposeful hide data, obstruct the S&OP process and start controlling others to do the same. We can’t say this behaviour is wrong! These behaviours might have been developed over a lifetime in support of security needs and to reduce personal anxiety. However, we can say these behaviours are not effective; in life, in business and more specifically in S&OP. This is where coaching to change comes in. Coaching to change will be applied in the early life cycle of S&OP. During the S&OP implementation and the early S&OP phases that focus on demand, supply and inventory balancing. It ought to overcome all four level of change resistance as described earlier. For level 2 resistance – the hardest type – coaching to change focuses on individual thought processes and behavioural change management required to support S&OP. Coaching to change has as main objective to overcome fear and security needs driven resistance, and develop a critical mass of senior leaders that show preferred S&OP mindset and behaviours. Once this critical mass is reached, there has been enough change and acceptance to mature both S&OP and behaviours further. To coach individual in support of S&OP and improve their behaviours, we can’t just tell them what the preferred behaviours are. We can’t just call them out in a group environment that they don’t support effective S&OP. Some suggest behavioural change follows S&OP like night follows day. Unfortunately life isn’t that easy either. Changing behaviours is hard work and takes dedication. We need to help individuals to create awareness and help develop more effective mindset and behaviours. A good approach for this phase of S&OP coaching is triple A (Awareness, Acceptance & Action). In conversations and maybe with the help of psychometric tools, a coach has to create behavioural Awareness in the coachee. 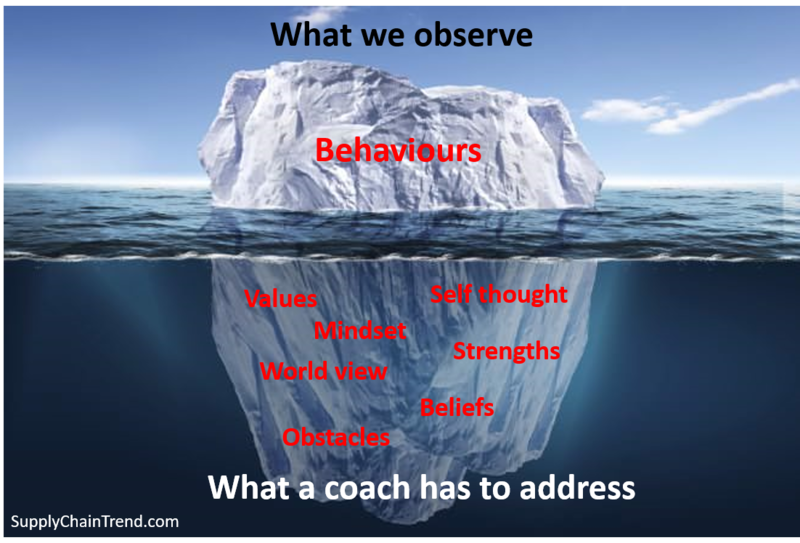 Then a coach needs to guide an individual in accepting that these mindsets and behaviours are less effective. Finally, once an individual has Accepted a need for change in their behaviours, a coach can help create an Action plan to develop more effective behaviours. The coach will follow through and hold a person accountable to stick to the improvement plan and provides intervention techniques a person can use in real life situation like an S&OP meeting. The coach will also observe individual and group behaviours in S&OP meetings and provide feedback.